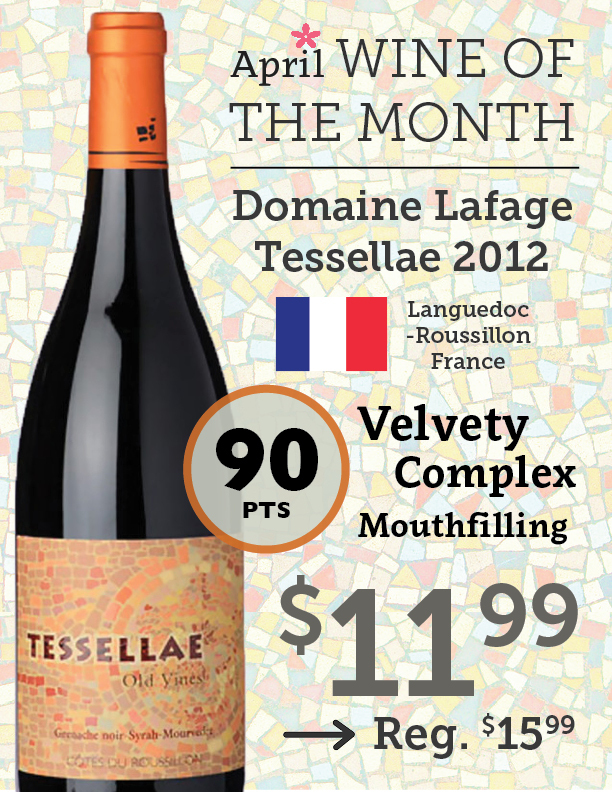 The 2012 Tessellae Old Vines Cotes du Roussillon is a blend of 40% Grenache from 60-year-old vines, 40% Syrah and 20% Mourvedre (both from 20-year-old vines). The fruit was all aged 12 months in 1-year-old concrete tanks. A big, barbecue/smoky brisket-like nose intermixed with kirsch liqueur, lavender and pepper scents jumps from the glass of this complex, mid-weight, savory, mouthfilling red with soft, velvety tannins. This bistro-styled red wine should be enjoyed over the next several years.